We're not strangers to being trolled by the likes of Google – you know the general codes of practice, and we are also aware. We also wouldn't expect it from any other major tech company. So now we have to tell you how we're feeling about the fact that Apple has trolled us all. Really, we have to make you understand. 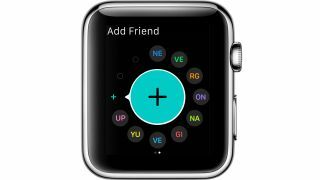 Over on the support page for the Apple Watch digital touch feature, a subtly placed Rickroll has just been spotted by some eagle-eyed people. Look closely at the initials on the above picture and you'll notice they spell out the lyrics to a certain 80s artist's signature song. Subtle but effective. If you'd already spotted it, well done. But also, commiserations. Did we just discover alien robots on the moon?